It’s all about eating together at Hotpot Spot. 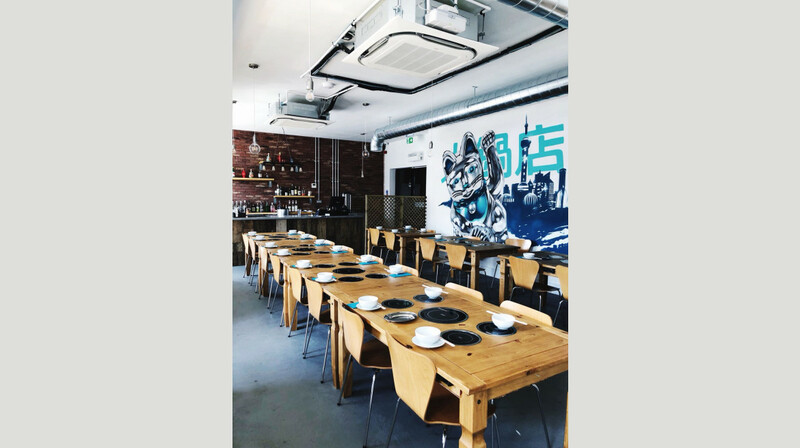 The first traditional hot pot restaurant in Wales, they offer a fun and interactive dining experience which is ideal for groups, friends and families. 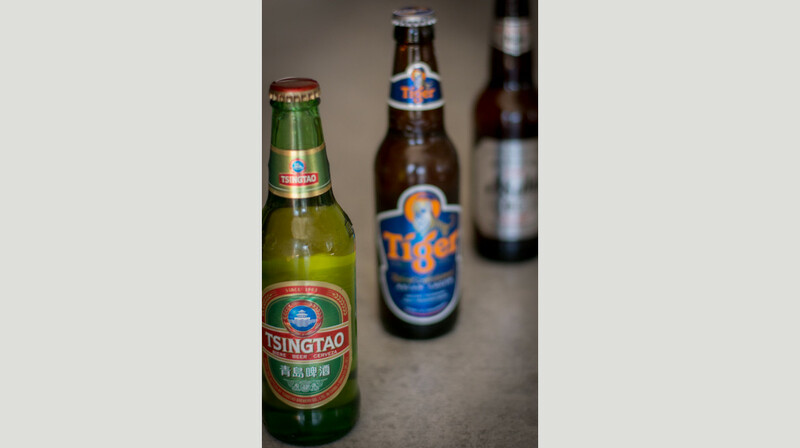 Their menu offers a mouthwatering range of Asian flavours and fresh Welsh produce. 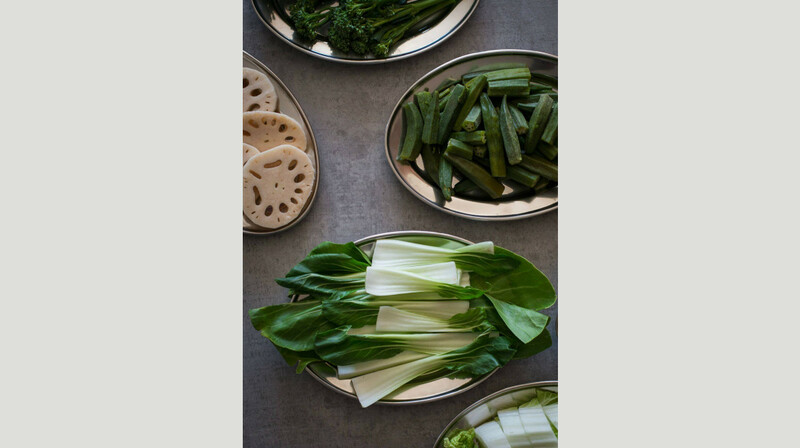 To create your perfect hotpot, start with two delicious broths, and then choose your combination of fresh vegetables, thin slices of meat or tender tofu, to be cooked at your table. Mix and match to make your unique broth, or ask the expert team, who are always happy to recommend their favourite combinations. Spice things up with one of their sauces, or try a traditional Sichuan soup base, spiced to your liking. 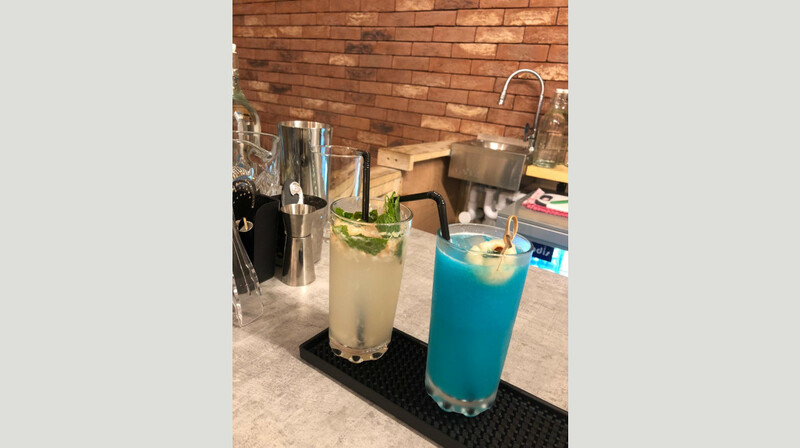 There is also a bar where they offer Asian beers and exotics flavours from the East with their tantalising Cocktail list. Putting the fun back into fine dining, this brand new restaurant is a fantastic dinner choice for all occasions. Located on Albany Road, Roath, Cardiff. The broth is very good. With the nature of hotpot, you have to try it with fried tofu, youtiao or noodle to fully appreciate the broth because they absorb it during cooking. The sauce station has a variety of choices and if you don't know what to do, simply ask and he is very friendly and helpful. The potion looked small but was quite filling. You can always start small and add more if you want to. Very happy with my meal at Hotpot Spot and glad to have a good hotpot place in Cardiff. I have had hotpot in China several times and found Hotpot Spot to be authentic and of a good quality. Part of the charm of Hotpot is making your own dipping sauce so it was nice to see a well-stocked sauce station. I've already booked to eat there again and I know my friend who dined with me plans to take his family there too. 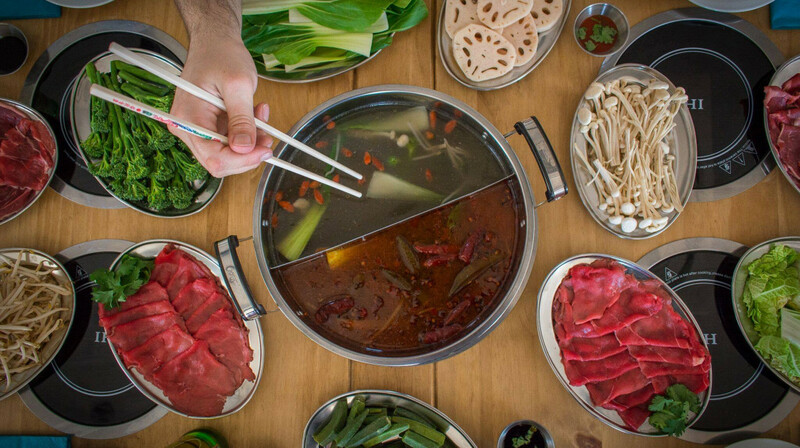 If anyone is new to Hotpot and unsure if it's for them, I'd encourage them to give it a try, it's a really fun and social way to eat. Had a great experience, fresh food, great flavors! Will be returning! Most incredible food and customer service experience! My boyfriend is a meat lover and thoroughly enjoyed the meat selection. I am pescatarian and the whole meal surpassed my expectations, incredible veg, tofu and lobster all for such an incredible price. The staff and very knowledge and the foods and how to cook them best, the manager even custom made a delicious sauce for us! Great concept, cook your own meat, veg and noodles in a pot of stock on a hot plate. Wide range of tasty dipping sauces, bit messy but a lot of fun. My 11yr old loved it. Will be going back! This is our 2nd time visiting HotPot Spot. We love the novelty of cooking your own food in the resteraunt. 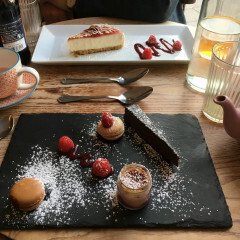 The owner is lovely and very happy to explain about the food and last night we were lucky enough to sample some potential new food going onto the menu. Great night. Highly recommend. Absolutely loved hot pot spot!! The broth is delicious as are all the vegetables, noodles and meat to go in the broth. The sauce station is also great. The knife pare noodles and Chinese spinach were amazing! We had a wonderful Sunday lunch experience at HotPot Spot, we were greeted and talk through the menu, it was a great introduction for those who have not had hotpot before. The owner was knowledgeable and eager to share his knowledge. Service was fast and we would have happily paid full price for it! We spent a blissful 2 hours dipping in and enjoying the novelty of it all. Lovely food, very attentive staff, something different a great way to eat. Arrived and was seated straightening away. Waitress was really polite and helpful with the choices. Had a great night and would definitely recommend to anyone thinking about going. I’ll be back. I really enjoyed my meal at the Hot Pot Spot. It’s a very different dining experience with really delicious aisian food. The flavours were very fresh and the staff were very helpful. Definitely going back! Loved it! It was fun, sociable, new, delicious, friendly and memorable. A great new dining experience for both of us. And crazy cheap! My only moan is it’s not easy to find. But it’s lovely bright modern dining area with a welcoming warmth. You’re encouraged to take your time. Also impeccably clean. 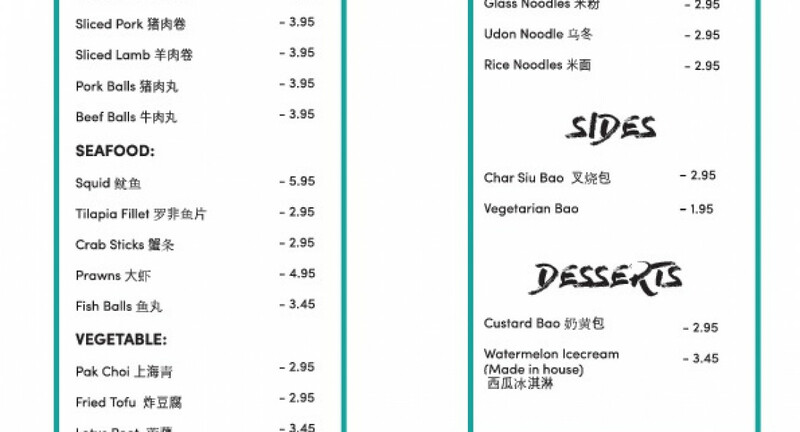 Must try the spring rolls and lotus root and 4 is v hot!!!! We really enjoyed our experience at Hotpot spot this weekend. It was a fun experience cooking your own food and something we had not done before. The waitresses were good at explaining what the set up was/how to cook eat item and they made some fab cocktails too! I don’t think we quite understood the concept before going and although we had a really good time and the food was really tasty, it would be difficult to say if we’d go again. If you’re looking for a sit down served meal in your best dress then due to the messy, frantic nature this definitely isn’t for you! I'd never had hotpot before and really liked it. We were a little gutted that the restaurant had run out of some of our favourite toppings but everything we did have was excellent. There are a great range of dipping sauces and the waitress gave us free top-ups on our green tea. We loved it and will be back! We had a great time at hot pot stop. My daughter and I tried first table for the first time and made a fantastic mess of our table with our first Hotpot experience . The staff and service were great and we will certainly return again. The best ice cream I have ever eaten. Watermelon! Make sure you try it if you visit . What a lovely experience! Great fun, all cooking and chatting together with the communal hot broth. The spicy (level 2) was enjoyed by everyone! The opportunity to pick your own is great for all people whether you favour vegetables or are an avid carnivore. Would recommend! A few cocktails were drunk and I particularly liked the elderflower sake one! The restaurant is quite new but the staff were happy to help. The sauces station is very nice, really opens you up to trying a variety of tastes with the same base. Well worth a visit!